Located in Las Trancas in the Bío Bío Region, 4.1 km from Mirador Ski Lift, Chil'in Hostel features a seasonal outdoor pool, barbecue and sun terrace. Guests can enjoy the on-site bar. Free private parking is available on site. 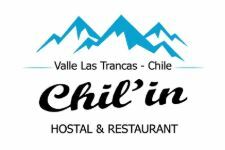 Chil'in Hostel features free WiFi throughout the property. A TV is featured. This hostel has ski storage space and ski equipment hire is available. A range of activities are offered in the area, such as skiing and cycling.